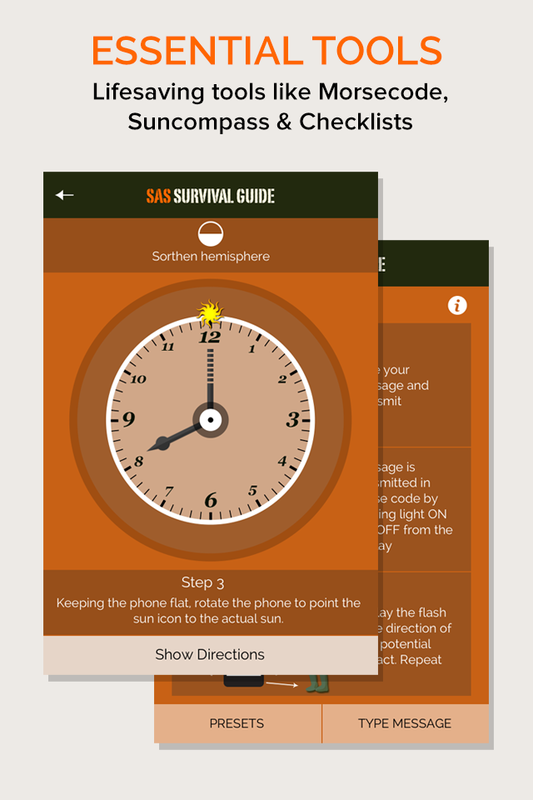 For over twenty years, the SAS Survival Guide has been the definitive guide to surviving any situation, anywhere in the world. 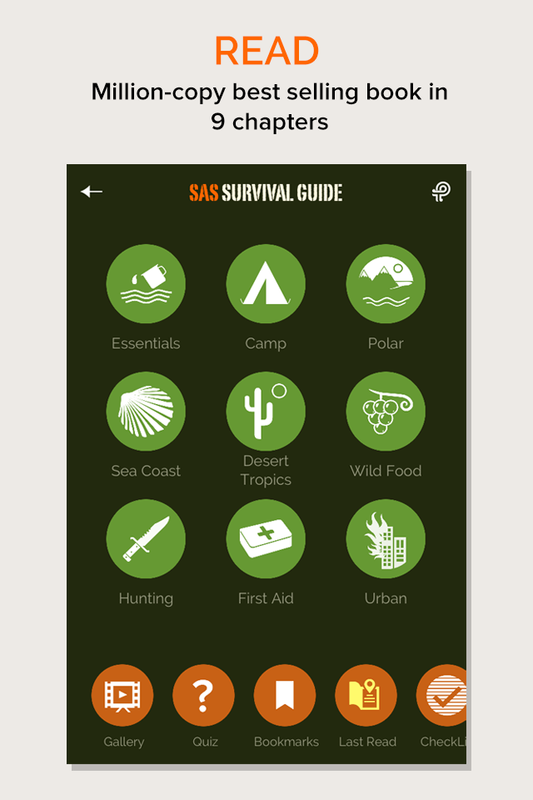 Now, for the first time ever, the million-copy bestselling book has been reinvented for the iPhone and Android. 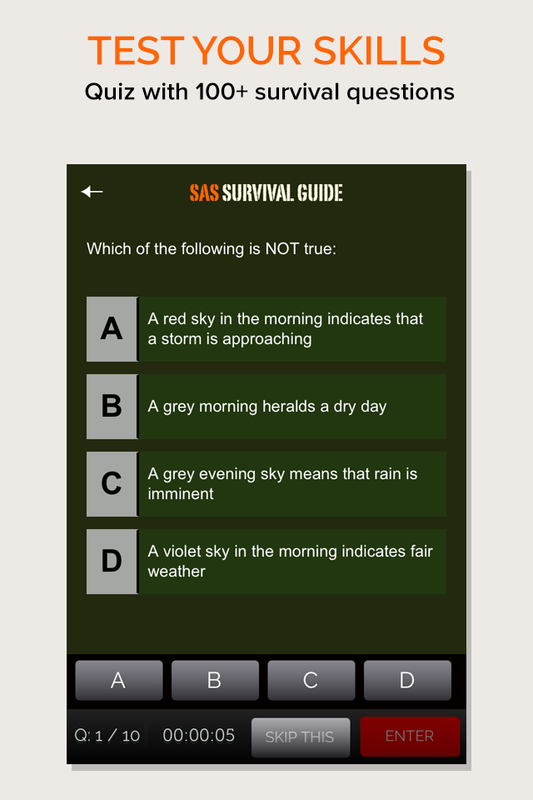 Written by former SAS soldier and instructor, John "Lofty" Wiseman, this application brings you the elite training techniques of Britain's toughest fighting force in the most accessible version ever. 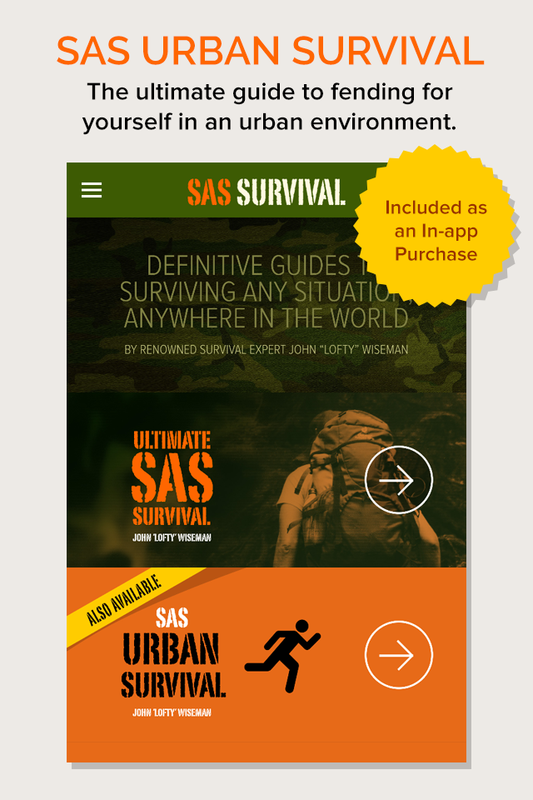 Now you can take the original set of world-class survival skills with you anywhere in the world - from the peaks of Kilimanjaro to the deserts of Kandahar...or to your closest national park. 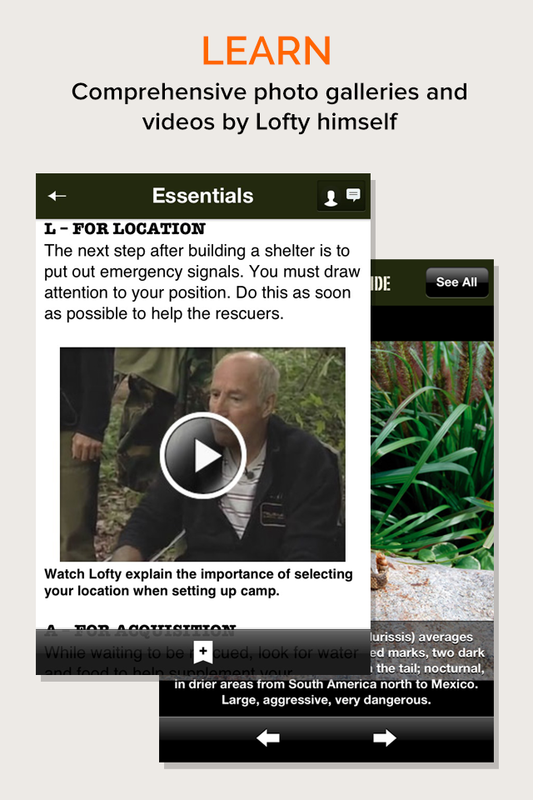 An internet connection is not essential for using this app and all content resides within the app download.